UPDATED: September 7, 2016, at 12:36 a.m. 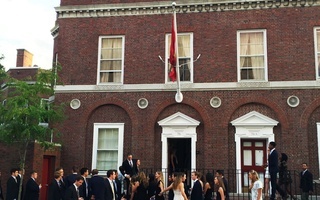 The currently all-female Sablière society has committed to going gender neutral by next fall, according to graduate board president Ariel Stoddard ’10. Undergraduate and graduate members of the Sab approved the change—which the club had preliminary announced last spring—in a two-thirds affirmative vote last weekend, making the Sab the first of the five all-female final clubs to publicly announce a plan for a gender neutral transition. The club has now outlined a specific timeline for the transition by 2017, Stoddard wrote in an email to The Crimson Tuesday. 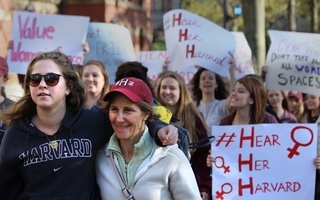 Before the club begins considering non-female candidates, the club will also host an open selection process for all sophomore women this fall, Sab undergraduate president Reva Nohria ’17 said in an interview. The Sab joins two other final clubs, the all-male A.D. Club and Porcellian club, in hosting single-gender open “punches”—the final club-specific term for the membership selection process—this year. The Sab is also the first final club, male or female, to put forth concrete plans to go gender neutral after the announcement of College sanctions that, starting with the Class of 2021, will bar students involved in single-gender social organizations from leadership positions and College endorsement for certain coveted Fellowships. The Seneca, a currently all-female 501(c)3 group that does not identify itself as a final club, plans to go gender neutral, though its leadership believes the club could remain single gender in practice without invoking the College’s impending sanctions. Though the Sab will become gender neutral the same semester as the sanctions take effect, Nohria called the decision “the culmination of over a year of discussions” within the club. She stressed that while administrative pressure and campus climate had some bearing on the decision, much of the impetus for change was internal. The all-female Bee, IC, and La Vie clubs have all met with the all-male Delphic club to explore the possibility of a merger, according to Delphic Club correspondence from May. Nohria described the full year between the announcement and when the Sab will begin accepting non-female members as an opportunity for “due diligence in making sure that we create the best framework” for a gender neutral punch. 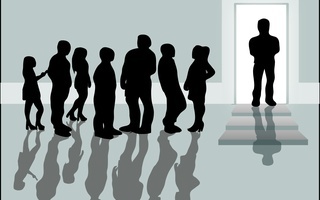 Though constitutionally the Sab’s change only required two-thirds approval from undergraduate and graduate leadership, Stoddard wrote that Sab leadership had “agreed not to move forward without a ⅔ majority” of the entire undergraduate membership, a threshold reached over the weekend. Sab leaders also said they expect no administrative support or reward for their decision—a possibility that Sab co-founder and legal chair Eugenia B. Schraa ’04 said was floated in a meeting last May with Assistant Dean of Student Life for Equity, Diversity, and Inclusion Emelyn A. dela Peña and Associate Dean of Student Life David R. Friedrich. 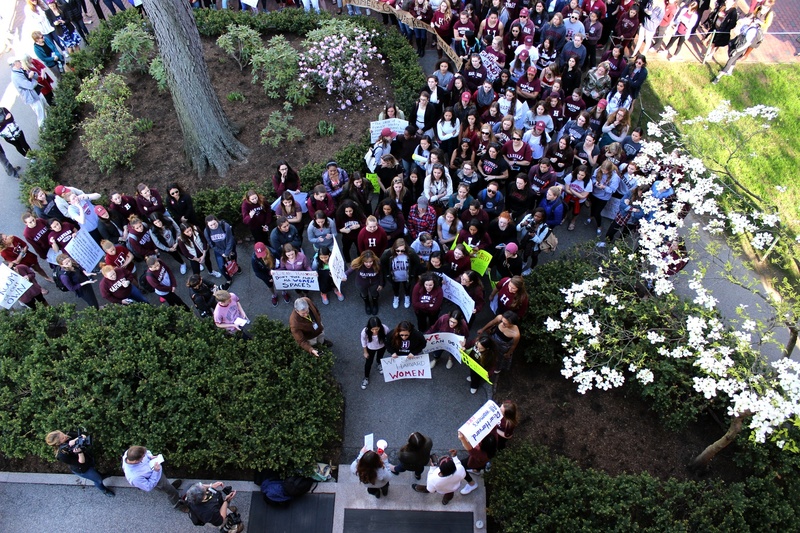 Women gathered in the Yard in May to protest the College's sanctions against unrecognized single gender social organizations. Despite the historic nature of the change, Arenson said she hopes it will not fundamentally alter the club. “The plan is there will be a lot of consistency in how [the Sab] feels … apart from the literal question of gender,” Arenson said. The formerly all-female Sablière Society has inducted a group of 14 men into their ranks this weekend, according to undergraduate president Lulu S. Chua-Rubenfeld ’18. There are many ways the University can support women on this campus; the bridge program simply was not one of the most effective ways it could have done so.